The SpeechAir smart voice recorder saves you time and resources by allowing you to work more flexibly than ever before. 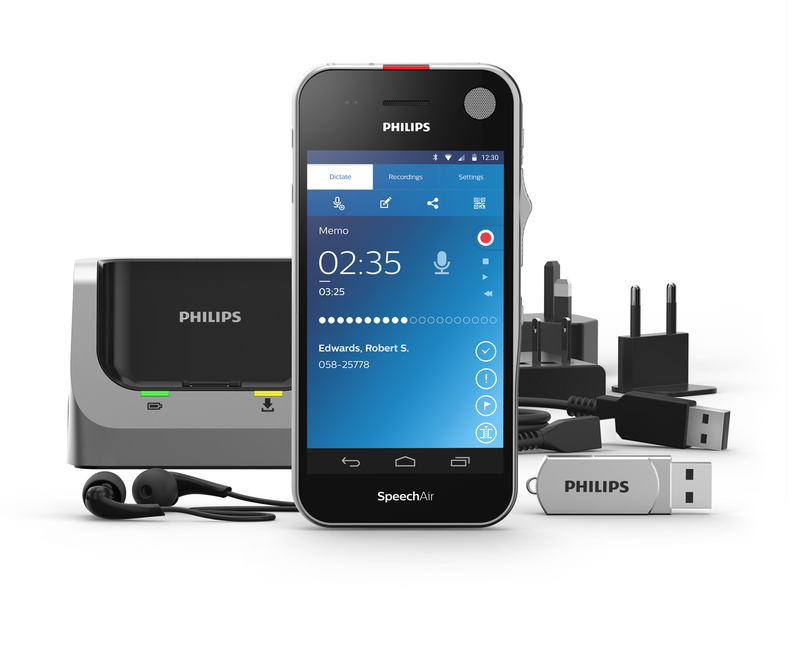 Whether you are a lawyer or an architect, the Philips SpeechAir helps you make the most out of your valuable time. 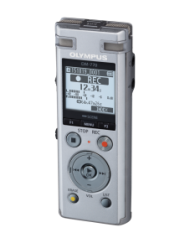 The integrated Wi-Fi function and three dedicated microphones let you record and share your files from anywhere and anytime. Recordings can be encrypted in real time for maximum data security. SKU: PSP1200/01. Categories: Dictation Solutions, Dictation Hardware. The Philips SpeechAir fits perfectly into your daily workflow. 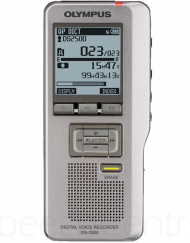 Record your voice from your office or on the road and securely send it off for transcription. 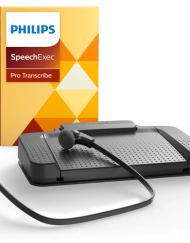 You can send your recordings to your assistant or use the Philips SpeechLive Transcription Service, where trained professionals will quickly type up your documents for you. You can also use speech recognition for almost instant transcription results. 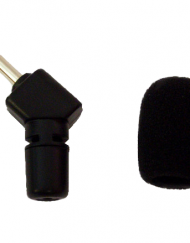 Three professional microphones deliver ultimate sound quality in any recording situation. 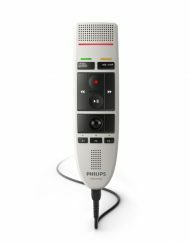 The 360° microphone is ideal for recording dictations and meetings. 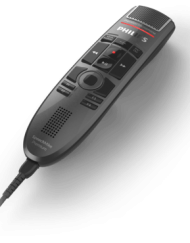 For noisy environments, such as when dictating on a train or in a shared office, the directional microphone is best suited. It filters out background noise and records your voice perfectly for excellent playback as well as speech recognition results. 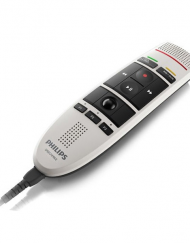 You can even record clear VoIP calls with a third, dedicated microphone. Save time by transferring your finished recordings wirelessly to your transcription staff and directly accessing your clients’ data in your document management system. Use Wi-Fi for VoIP calls and accessing your emails and calendar. 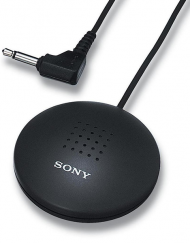 Add flexibility by connecting a Bluetooth headset or speakers. Especially in the legal, financial and insurance sector, safeguarding confidential client information is paramount. This is why SpeechAir recordings are encrypted in real time using the Advanced Encryption Standard (AES) 256bit. The AES has been approved for the most highly classified government information. A PIN code protects the device itself against unauthorized use. Features such as the camera can be locked and Wi-Fi networks can be restricted for employees. Gorilla glass makes the device scratch and shock resistant. The housing is made of antimicrobial synthetics. These materials work against bacteria and various microorganisms to ensure hygienic working. The device is shockproof according to US military standard 516.6. The camera allows you to conveniently attach supporting photos to your dictations. When inspecting insurance claims or real estate for instance, you no longer need to carry an additional camera along with you. All your documents can be sent off immediately, no need to wait until you are back in the office. The SpeechAir camera also comes with an integrated barcode scanner. This enables you to instantly link client data to a recording just by scanning a QR- or barcode. The ergonomic and wear-free slide switch is designed for efficient single-handed operation without having to look down at the device. It allows for quick and easy file operation (play, pause, stop, fast forward, fast rewind). A customisable function key above the slider gives quick access to the app. The included superior docking station automatically transfers all your recordings to your computer and quickly re-charges your device. The LAN connection allows you to transfer your files directly from the station without having to use a computer. The dock comes with a Kensington lock. This antitheft system guarantees a peace of mind when leaving the dock unattended in offices. 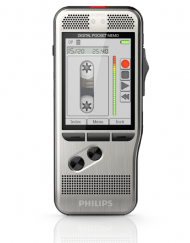 The integrated recorder app comes with professional dictation features such as editing modes, priority and EOL flag, enhanced data and dictation list as well as sending options (to network folder, Philips SpeechLive services or email recipients).